If you’ve been following Cause A Scene for any period of time, you know that today is a monumentally huge day in our history as it marks our very first steps outside of our beloved hometown of Nashville. (And if you’re brand new to Cause A Scene, this short video will get you caught up on what we’re all about really fast.) It’s a step that feels equal parts exhilarating and terrifying, a risk that we cannot help but take and trust that people’s desire for community and discovery will help carry this movement outside our comfortable surroundings into the rest of the world one city and one show at a time. Over the course of our first four years, we’ve miraculously grown from our humble beginnings in a cozy living room in a nearby suburb to hosting nearly 200 shows featuring around 700 artists in pop-up locations all over the Music City map. Some days, like today, this all feels like a dream that we never want to wake up from. If we’re being completely honest with you, just about every day over the course of the last month has felt like a dream as people from all over the country have been so gracious toward us, opening up incredible locations to host us on this inaugural coast to coast run. You might be wondering right now “Why are they doing all of this?” or “Where are they going?” and the answers would be varied but all follow a similar refrain: Because we believe something powerful happens at the intersection of music and community, where people are able to gather together to discover something really beautiful and be drawn closer through a beautiful, shared experience of discovery. And where are we going? Well, for now 19 cities scattered throughout the Midwest and East Coast (and then out West in August), but truthfully, we hope this is the start of Cause A Scene spreading throughout the country in cities small and large in any rooms that wish to invite gorgeous music and wonderful people into something truly unique and life-giving. The one, the only…Joshua James! 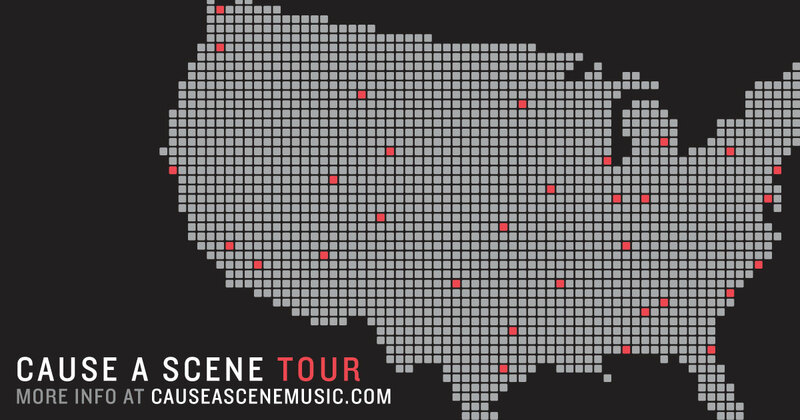 We’re currently looking for people to host the first ever Cause A Scene tour this July and August. We are looking for intimate, inviting spaces that will hold 40-100 people and have a “house show” vibe. Our shows are hosted in non-traditional venues, such as houses, lofts, backyards, office/co-working spaces, local shops boutiques, photography studios, art galleries, barbershops, coffee shops, etc. Please read the details below to find out what we’re looking for and how to apply to be a host. *If you don’t see your city listed above, please still feel free to submit to host and we’ll do our best to make it to your city if it fits into the tour schedule. We’re looking for a house, loft space, boutique, barber shop, studio, or unique local space that can comfortably and safely host 40-100 people. You don’t have to be super specific here, but a rough estimate will do. Ideally the space has parking close by and/or has public transportation readily available. We don’t want to tick off your neighbors. Tickets for each show will be $15. Everyone must buy tickets in advance. No tickets will be sold at the door unless otherwise specified. All tickets sales will be directly through Cause A Scene and our ticketing partners at Eventbrite. In order to best ensure that everyone has an equal chance at getting tickets, we’ll be limited sales to 4 tickets per order. The week of the show, we’ll send the host a list of everyone who has purchased tickets. We’ll take care of all ticketing on our end, but we’ll need you to help checking people in. We anticipate doors opening around 7:00pm with the music starting at 8:00pm with everything wrapping up by 10:00 or 10:30. As a thank you for hosting, we will give you 5 free tickets to give to friends or family. If hosting at your house, your address will not be published on the web and will only be given to people who purchase tickets. If hosting at a local business or shop, we may post the address to encourage day-of-show tickets sales, where applicable. 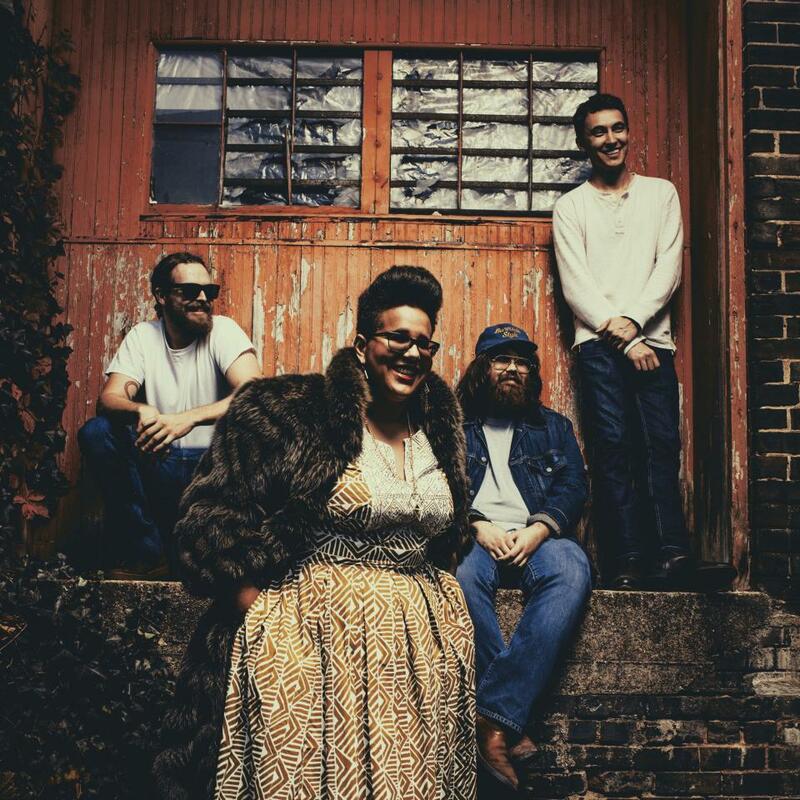 The shows will promoted on our website, Facebook, Instagram, Twitter, mailing list and via word-of-mouth as well as through the artist’s’ website and socials. We also may ask hosts to help with locally promoting the show with posters and through social media. We’ll get all of those materials to you in a timely fashion and welcome any and all local marketing ideas. If you have a sound system available, that is wonderful but not required. Please specify in your email if a sound system is available for the show. With the shows being small and intimate in nature, much of the seating is on the floor up close to the “stage”. With that in mind, we encourage guests to bring their own blankets, pillows, or anything else that helps make for the most comfortable setting possible. If you have chairs available, please let us know, as having chairs would be amazing, too. A private “green room” type area for the artist is strongly encouraged so they can have some time to unwind before and after the show. If there’s anything we missed here, you can email us with any and all questions at hello@causeascenemusic.com and we’ll hit you back ASAP. Please fill out THIS SHORT APPLICATION (it only takes 3-4 minutes). Send an email to hello@causeascenemusic.com with photos of the space. Please be sure to specify which space you are emailing about. 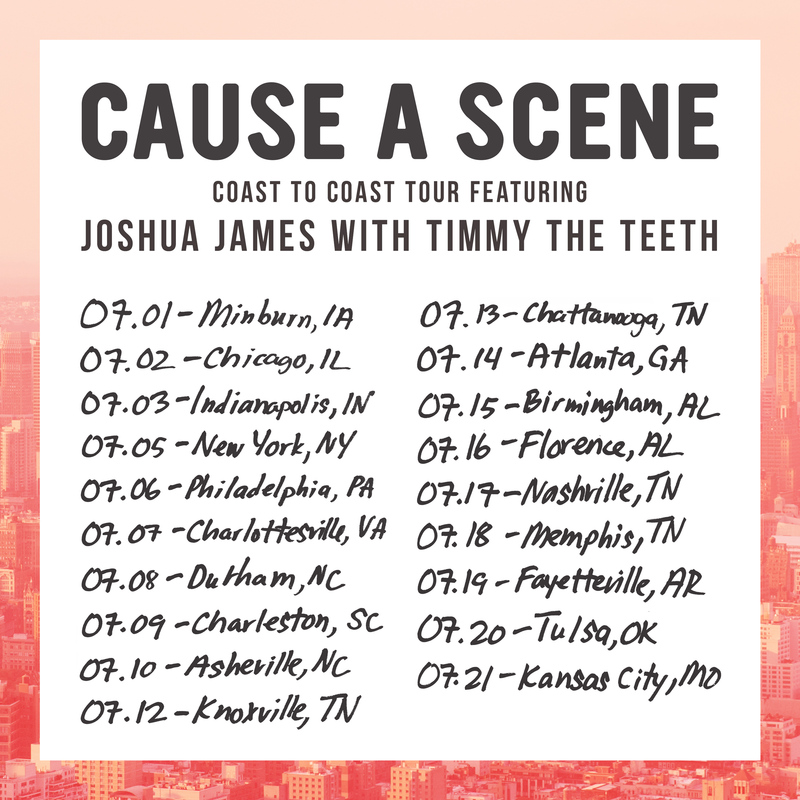 Please put “Cause A Scene Tour” and the name of your city in the subject line. For example “Cause A Scene Tour – Nashville” if you’re submitting to host for Nashville. Sit back, relax, and we’ll email you as soon as we can. Thanks in advance for your patience with all the incoming inquiries we’re getting. Thanks for your help and for being awesome! We’re looking forward to bringing Cause A Scene to your city this summer! 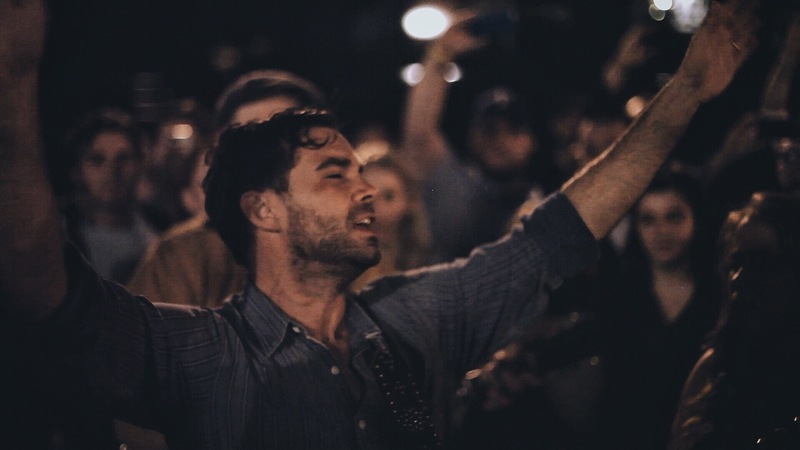 If a picture is worth 1,000 words, then this image of The Lone Bellow’s Zach Williams performing at a Cause A Scene performance in 2014 perfectly captures everything we’re feeling right now. Earlier today, Business Insider included us in their list of the “Top 50 Coolest New Business in America”, and we could not be more honored and excited. As 2015 comes to a close and we gear up for our biggest year ever in 2016, we are so thankful for everyone who has been a part of the first (almost) four years of this movement. To everyone who has attended a show, to every band and artist who has graced our various stages, to every friend and family member who has offered an encouraging word, been a listening ear, or freely offered sincere advice: you are what makes this movement so exciting and this community such a joy to be a part of. 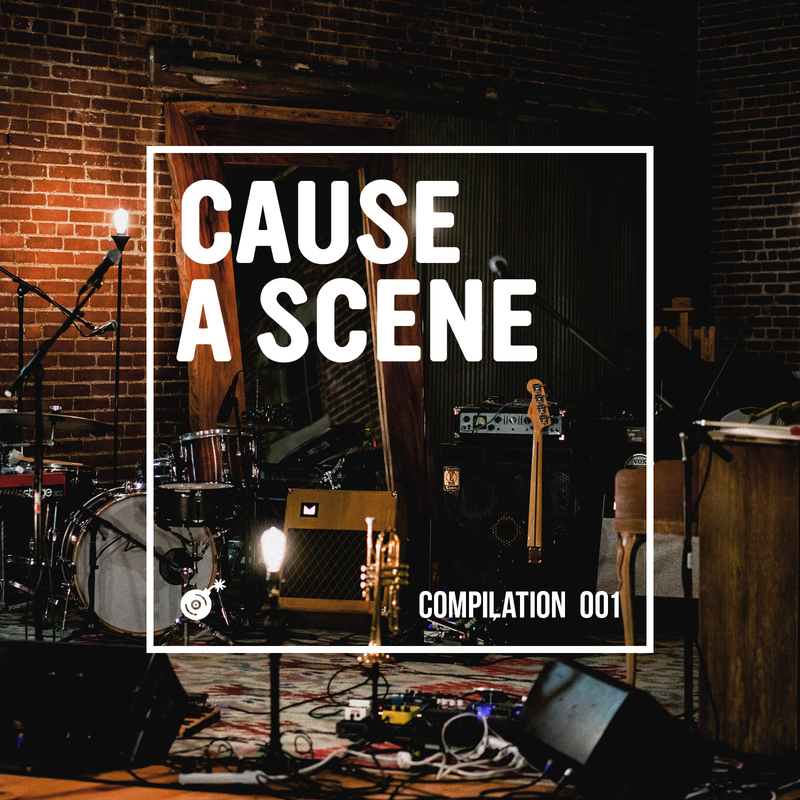 If you’re new to Cause A Scene and would like to stay in the loop on all of our secret shows, events, playlists, and more, you can do so easily by emailing hello@causeascenemusic.com with your First and Last Name and Zip Code and we’ll get you added to our mailing list ASAP. We seriously cannot wait for everything that 2016 has in store for you all. We’re eagerly anticipating revealing our biggest secret shows yet and the fun new directions that CAS will be going in the years to come!